You are here: Home » GENRE » Fantasy » Aladdin live action movie (trailer). Aladdin live action movie (trailer). 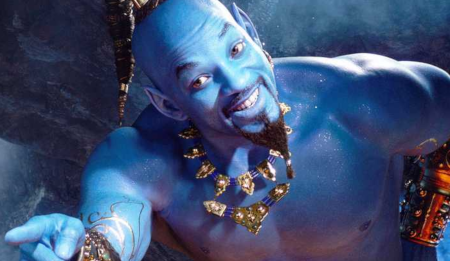 Will Smith’s genie in the live action version of the upcoming Aladdin fantasy movie seems to be picking up some negative vibes across the interweb – but then, the animated version is such a precious treasure to many viewers, that whatever happened in the live action film was going to break a few fans’ hearts. « Godzilla 2 King Of The Monsters (new trailer for this monster movie).